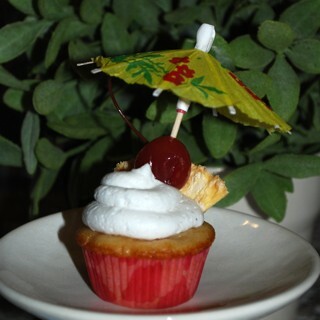 So, if I don’t like beer will I like a beer cupcake? I guess we’ll find out. 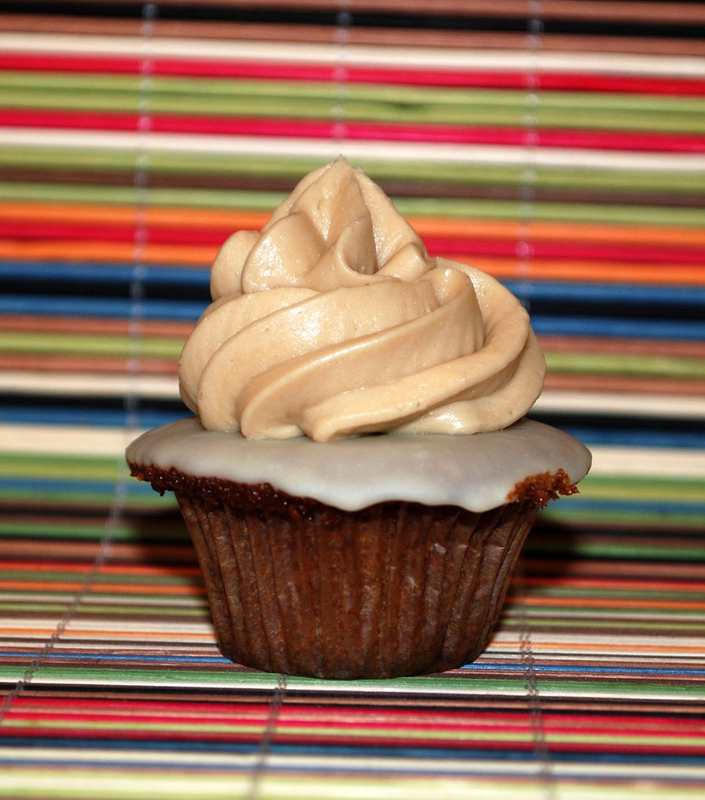 My goal is a stout cupcake filled with Baileys white chocolate ganache and topped with a whiskey butter cream. I started my cupcake by heating a mini bottle of Baileys (50ml) with 1/2 cup of cream then pouring the boiling mixture over 8 ounces of chopped Dilettante white chocolate. After this was melted and smooth, I put it in the frig to cool off. For the cupcake, I used a recipe I found somewhere and copied and now I can’t find again. Anyway, thanks to someone! I didn’t want chocolate cupcakes, so I left out the cocoa and added more flour. Preheat oven to 350°. Butter a muffin tin or line with muffin paper. 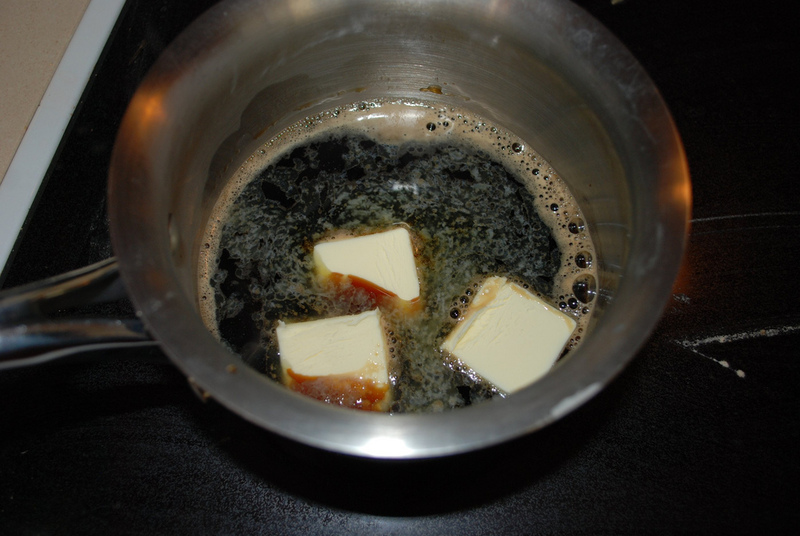 Combine Guinness and butter, chopped into chunks, in a large saucepan. Cook over low heat, stirring frequently, until butter is melted. Remove from heat. Whisk in brown sugar. In a small bowl, whisk together sour cream, eggs and vanilla. Add this to the beer mixture and mix well. In another dry bowl, sift together flour and baking soda. Fold the flour mixture into the batter. 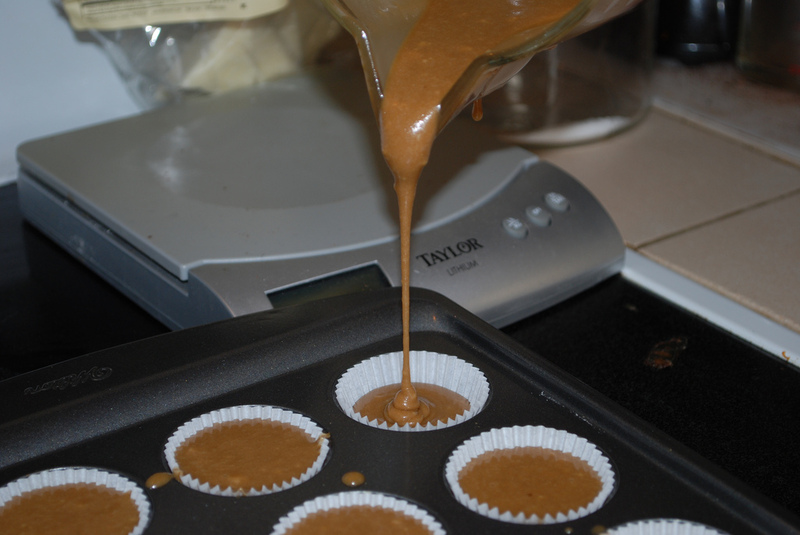 Pour into lined muffin cups and bake 16-20 minutes (until an inserted toothpick comes out clean). 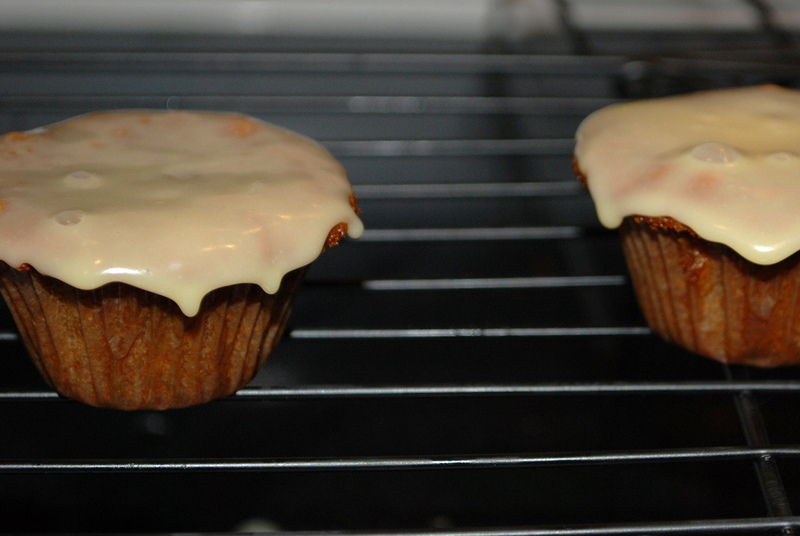 Let stand 10 minutes and then remove cupcakes from tin and cool on a rack. This made 48 mini cupcakes and I had some batter left over. The batter turned out very lumpy and the lumps didn’t go away during cooking. I took the cupcakes out of the pans and set them on cooling racks, then turned to the frig to get a beverage while they cooled. I guess I didn’t have the Bailey’s white chocolate mixture very stable on the shelf because it fell in the floor when I opened the door. Did I mention I didn’t put a lid on the bowl? Have you ever attempted to clean a huge pile of melted chocolate out of the floor? The bowl didn’t land head first so I was able to salvage a little that was left in the bowl. Maybe these cupcakes will be drizzled with white chocolate instead of being filled with it. I made a brown sugar Italian meringue butter cream using 1 1/4 cups brown sugar and 2/3 cup water to make the sugar syrup. I added the 240 degree syrup to 5 egg whites which had been whipped to soft peaks. To this I added 1 pound of softened butter and 2 tablespoonfuls of Jameson’s Irish Whiskey. I ended up having enough of the white chocolate ganache to dip most of the cupcakes. I had enough icing to top all but one of the cupcakes. To say this was delicious would be an understatement. It melted in my mouth in a dance of sweet sensation.